ESA’s SMART-1 spacecraft has been surveying the Moon’s surface in visible and near-infrared light using a new technique, never before tried in lunar orbit. For the last few months, the Advanced Moon Imaging Experiment (AMIE) on board SMART-1, has been opening new ground by attempting multi-spectral imaging in the ‘push-broom’ mode. This technique is particularly suited to colour imaging of the lunar surface. In this mode, AMIE takes images along a line on the Moon’s surface perpendicular to the ground track of the spacecraft. It relies on the orbital motion of the spacecraft to reposition it as it records a sequence of images known as an ‘image swath’. The AMIE camera on board SMART-1 has fixed-mounted filters which see the Moon in different colour bands. The figure shows four consecutive images taken by AMIE from left to right. The fixed filters are indicated by coloured frames. The images, taken only a few seconds apart, show how the surface is moving through the different filters. 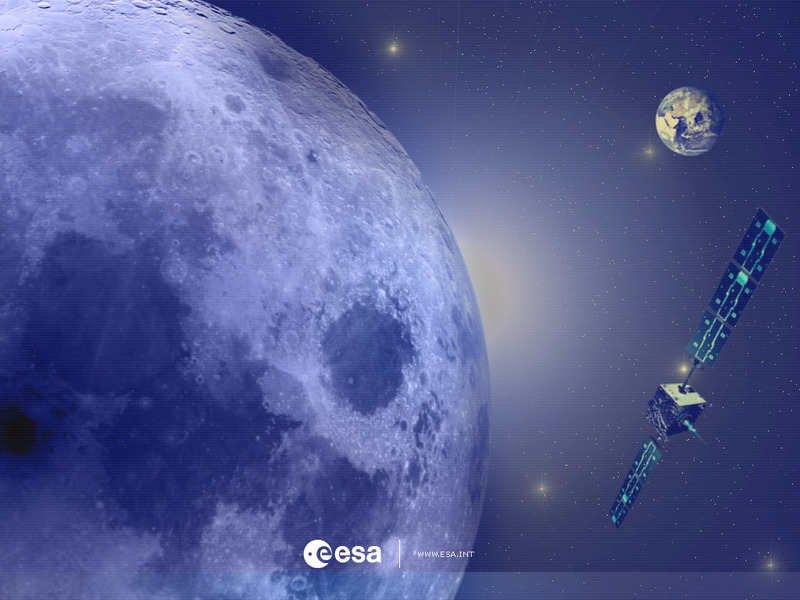 The spacecraft is moving over the Moon’s surface at a speed of more than a kilometre per second! By combining images showing the same feature on the Moon as seen through different filters, colour information can be obtained. This allows to study the mineralogical composition on the lunar surface, which in turn lets scientists deduce details of the formation of our celestial companion. Whereas the multi-spectral camera aboard the US Clementine mission had constant illumination conditions, SMART-1's orbit will offer different viewing angles. AMIE's views correlated with Clementine data of the same lunar areas will allow scientists to better interpret such spectral data.